Darren Aronofsky's psycho-drama about a brilliant but troubled ballerina may not be for everyone but for us, it delivered on all fronts. 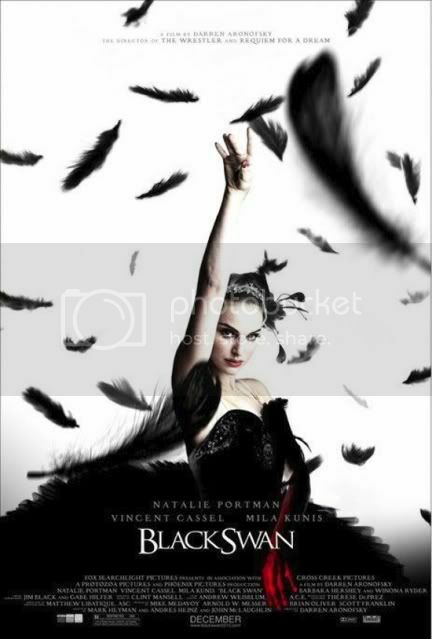 The dark story focuses on Natalie Portman as Nina Sayers - in training for the lead role in Swan Lake - and follows her on an emotional journey to find both herself and ballet perfection. Artistically directed to say the least, Black Swan toys with the viewer's perception of reality, causing the viewer to struggle along with Nina through the whole film. The movie eventually builds up to a final 25 minutes that are some of the most intense and rewarding in any film we've seen. Natalie Portman has never been better (or darker), the hours of training for this role certainly paid off and we hope to see her at this level again soon. Rating- 5/5.